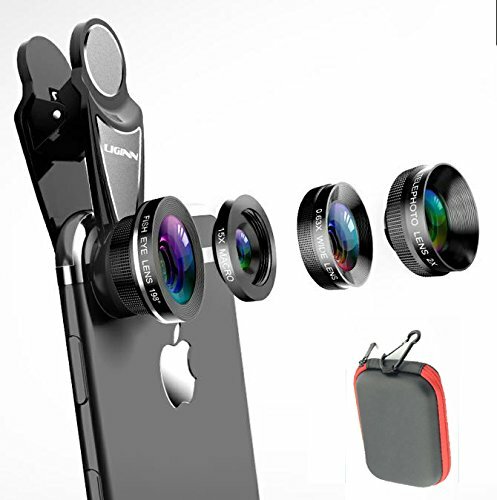 0.63X Wide Angle Lens is capable of capturing more in the frame to have a wider field of view.Suited for the ultimate selfies and large group photos with spectacular, distortion-free effects. Produces strong visual distortion intended to create a hemispherical image.Capture your world in its incredible 198° viewing field for dramatic rounded photos. -Please make sure the clip and lens is perfectly aligned to your camera for a perfect focal length! -Wipe the lens before using with our soft cleaning cloth! -Take off your phone case if necessary! -Don't forget to detach the macro lens from the wide angle lens! ♥Welcome to ask questions about product or sales policy, contact us in the Questions and Answers section. Our team will give you a better service. If you have any questions about this product by HSSKJ, contact us by completing and submitting the form below. If you are looking for a specif part number, please include it with your message.